Actor CHOI Min-shik, who starred in director YOON Jong-bin's Nameless Gangster: Rules of the Time, has won the Best Actor Award at the 6th Asia Pacific Screen Awards. The awards ceremony was held on November 23rd in Brisbane, Australia. Actress CHO Min-soo also won the Screen International Jury Grand Prize for her role in Pieta. The Jury Grand Prize is given to any actor, actress or film that has been included in the competition section. Nameless Gangster: Rules of the Time, which was one of the contenders for the Best Film Award, received the High Commendation which is the second most important prize at the event. LEE Seung-joon's Planet of Snail, included in the best documentary section, also received a High Commendation. 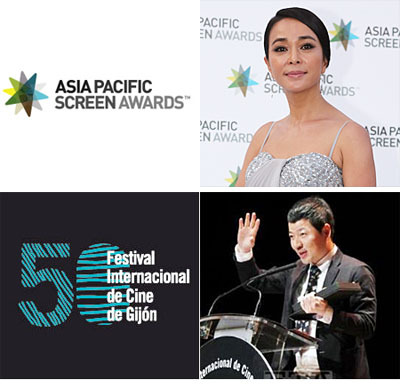 The Asia Pacific Screen Awards was established in 2007 in Australia's Queensland region by UNESCO and FIAPF and awards films from the Asia Pacific Region. Meanwhile director LEE Sang-woo won the Best Director Award for Barbie at Spain's Gijón International Film Festival which ran from November 16th to 24th. The event was established in 1963 and is now in its 50th year. Barbie, which is about overseas adoption and its problems, was in the official section for feature films. It previously won the Best Film Award at the 42nd Giffoni Film Festival back in July.